Record Store Day began a decade ago as a vehicle to promote the flagging sales of vinyl records as well as attempt to stem the decline of the independent record store. Over the years, it has grown into a phenomenon, with the inevitable side effect of record companies getting in on the act by pressing special reissues of long out-of-print albums, one-off releases of archival material, and, unfortunately, overpriced “instant collectibles” that can often be found online at triple or quadruple the price within hours. This year’s releases include rarities from David Bowie, Pink Floyd, Yes, Robert Johnson, Prince, Santana, Slick Rick, Biggie Smalls, and many many more. But it’s bigger than that. The record store (like the book store) is a sacred space for some of us, a place always filled with the mystery of the unknown and the excitement of discovery, and Record Store Day is a chance to share that culture and hopefully keep it alive by passing it on. So in that spirit, I suggest foregoing the manufactured ‘event’ items by established superstars, and instead focusing on the lesser-known (and much cheaper) items available both used and new. There are a number of great stores here where everyday is Record Store Day, with a wide variety of music on vinyl at great prices. Kazimierz is really the epicenter of independent vinyl in Krakow, and there are three great shops within a five-minute walk of each other. If you take the tram to the Stradom stop, you’re just a minute or two walk from PAUL’S BOUTIQUE (Miodowa 4/7), the tiny but mighty newcomer to the scene. Perhaps unsurprisingly for a store named after the Beastie Boys game-changing 1989 classic, this vinyl-only store specializes in new underground hip hop, electronic, and indie music, but also boasts some great deals on older used stuff. 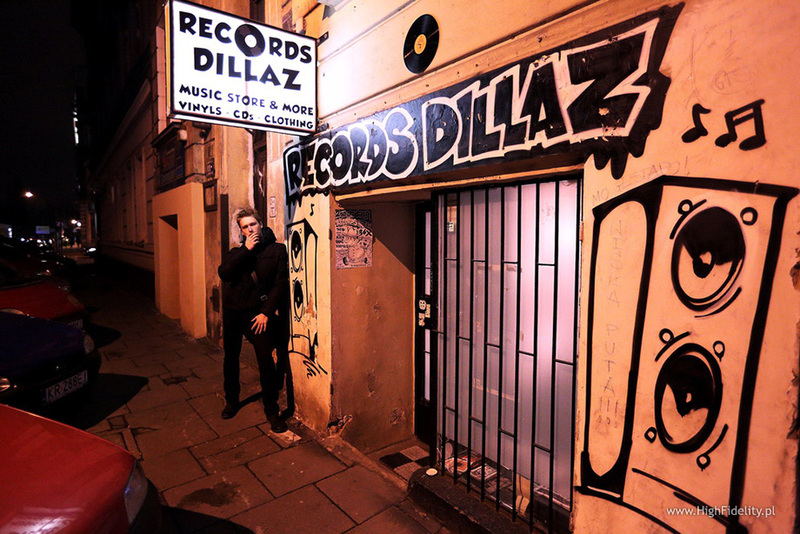 Make a left when you leave High Fidelity, heading toward Starowysłna down Berka Joselewicza, and you can’t miss the large street art graffiti sign on your right emblazoned with the RECORD DILLAZ logo. Don’t let the size fool you – this shop has a bit of everything including CDs, DVDs, and even the odd t-shirt among the many crates of all genres of vinyl. And while you’re in the neighborhood, don’t forget to check out the stalls on Plac Nowy, where there are always at least three or more record guys with very cool stuff. WÓJCICKI is a highly respected jazz rock guitarist with several acclaimed albums of original material to his name, but this Saturday night he’ll be celebrating those who have gone, from icons like Bowie, Prince, and MJ to metal legends Ronnie James Dio and Lemmy to brilliant instrumentalists such as Keith Emerson and Jon Lord – all with jazzy instrumental interpretations performed by his quintet! Creative, cool stuff. This singer-songwriter-actress-producer-popstar has been a presence on Polish TV and radio since she was the vocalist for such 1980s bands as Human, Fatum, and Talking Pictures, but her career began in earnest with her 1994 solo debut Gemini. Her successes since have included starring in the film Nocne Graffiti, representing Poland in the Eurovision Song Contest, and in 2001, winning an MTV Europe award for Best Polish Artist. This tour is billed as a “Best of” jaunt, in preparation for her next studio offering, and if new single “Aya” is any indication, it will be worth the wait. Her music is a powerful combination of beautiful melodies and hard rock sensibilities, and her stage presence is renowned. Okay, so maybe you crave something a bit more intimate, or maybe you spent almost all of your money on records. You, my friend, need to hear some authentic Delta Blues, Poland-style, in the cool vibes of Cafe Szafe. For less than the price of a couple of beers, you can commiserate with like-minded souls while testifying the blues with this great duo. The day isn’t over yet! Whether you spent the evening enjoying a classic Polish rock singer, meditating on mortality to the music of those who have gone, or walking in the shadow of the blues – now it’s time to Rave Till Dawn! Hell, past dawn even – this thing is scheduled to stay rolling until 08:00 Sunday morning!